Happy Friday Folks!! Today I am sharing an article I wrote for meal planning/recipe website, Food on the Table about pineapple and how to incorporate it in a picky eaters diet. I had to laugh at myself when I went to copy and past the title because it was practically the same title from Tuesday, sound familiar: Pump up the Pesto?? I guess my creative genius is lacking for some reason these days! know that this tasty fruit is full important vitamins and enzymes that are critical to a healthy diet? today Hawaii is now the world’s leading pineapple producer. Pineapples contain a powerful enzyme called bromelain. Research shows that bromelain is beneficial to help digestion in the intestinal tract as well as provided anti-inflammatory properties that may alleviate symptoms of arthritis, sports injuries, and prevent certain types of cancers. Pineapples are also an excellent source of manganese, fiber, and Vitamins C, B1, and B6. cutting and three days after. salads, salsa, and pizza. Place pineapple on skewers with chicken and throw them on the grill for a quick, family friendly dinner. 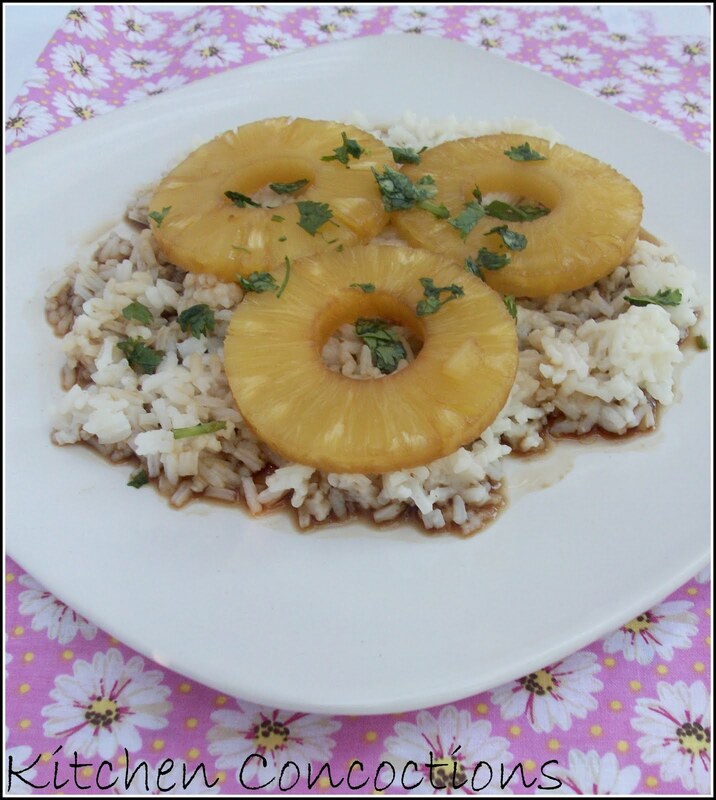 The Hawaiian Rice recipe below is a popular user favorite from the Food on the Table website. Serve this tasty side dish with some grilled chicken, ham, or fish for a tasty complete meal that will be enjoyed by all! Pour syrup from the can into a sauce pan. Bring to a boil for approximately five minutes. Lower heat and stir in brown sugar until it dissolves completely. Add ginger and soy and allow to simmer on very low heat to keep warm. other side (you can broil them in the oven, but you should baste the rings with the sauce before broiling to help pineapple turn golden brown). 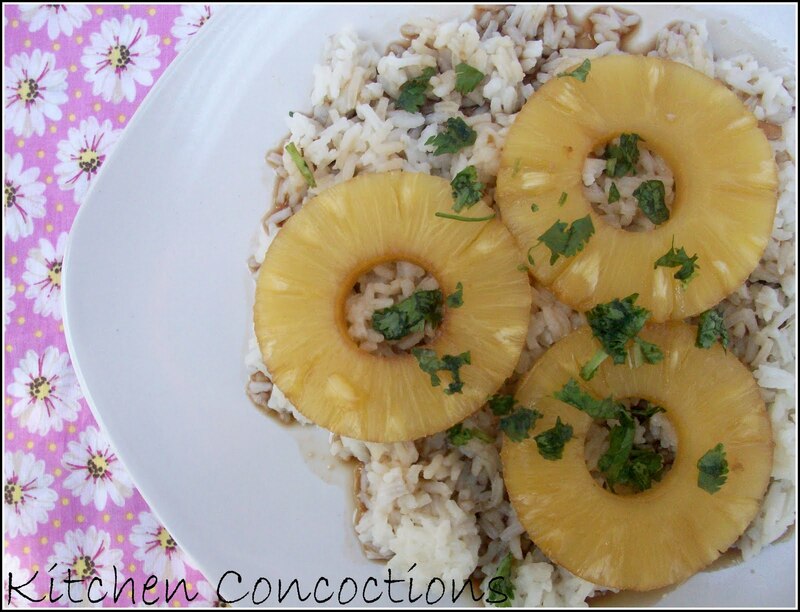 Place pineapple rings on top of rice, pour sauce over rice. I really love pineapple, and I know I'd love the addition of it on rice! This looks fantastic!